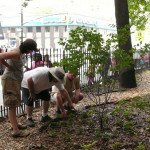 You are browsing the archives ofnative plant streetscape Archives - Sustainable Flatbush. 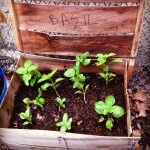 If you haven’t seen our edible garden lately, come check out what we’ve been up to this summer! Join us for another Special Garden Workday, Saturday, August 18th from 9:30am to 12:30pm, followed by our delicious and healthy Community Meal.